How to beat insomnia is packed with techniques to get back to a better night’s sleep. 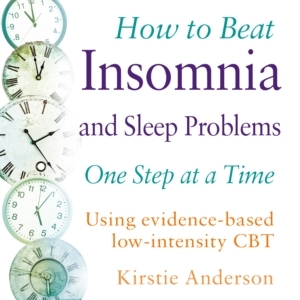 The perfect resource for helping you beat insomnia and sleep problems. The audio is spoken in a friendly, engaging (and jargon-free!) style. There are real-life case studies to demonstrate how you can work through your sleep problems. This audio from Dr Kirstie Anderson Consultant Neurologist of the Regional Sleep Service, Institute of Neuroscience at Newcastle University.